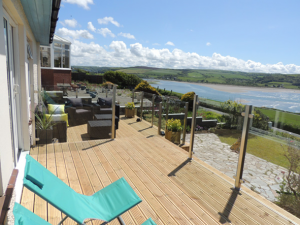 The spacious living room at Golygfa Deg allows guests to make the most of the panoramic views across the estuary, relaxing with a glass of wine as the sun sets into the Irish Sea. Fully glazed patio doors open out onto an outside decking area, while the dining table will seat eight comfortably. The living room is well equipped with a 32′ flat-screen TV, DVD player and CD stereo system. The cottage has a modern, well-equipped kitchen, complete with electric oven and ceramic hob, dishwasher, washer-dryer, kettle, toaster and microwave oven. 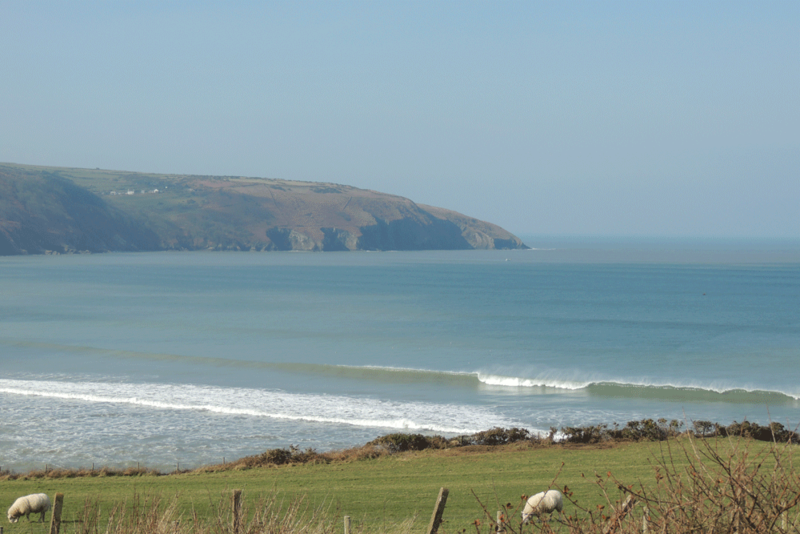 Well stocked with crockery and cutlery, guests can even make use of the “lobster pot” to prepare one of Cardigan Bay’s favourite dishes. 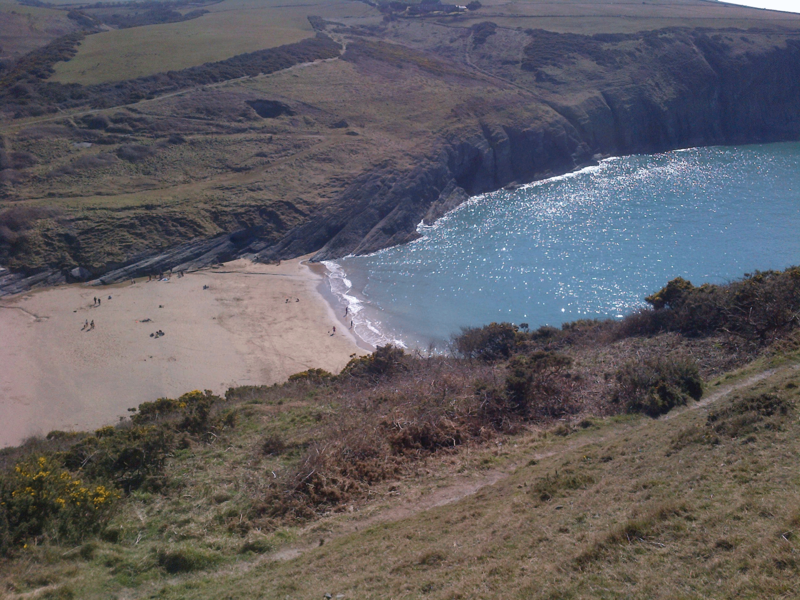 You can enjoy even a sea view while doing the washing up! 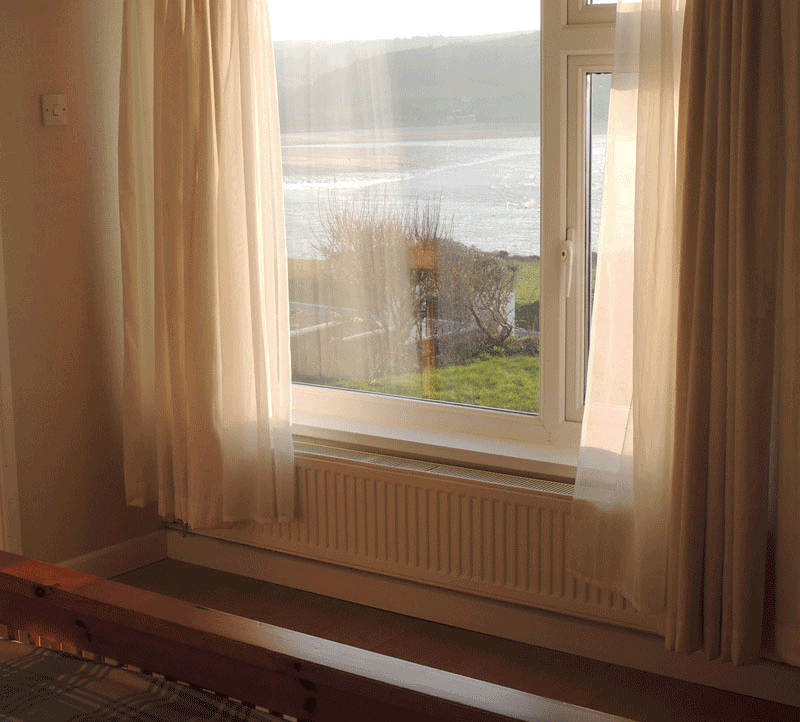 The master bedroom has a double bed from which you awake to spectacular views across the estuary. 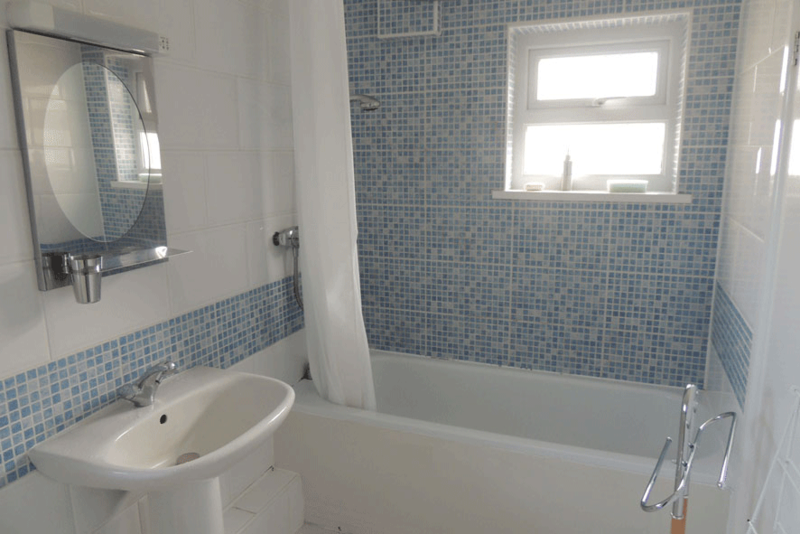 The cottage also has two further twin rooms, overlooking the back garden. All rooms have free-standing wardrobes and chests of drawers. No queues for the shower in the morning with a family bathroom, complete with shower/bath and toilet, as well as a separate shower room and toilet. 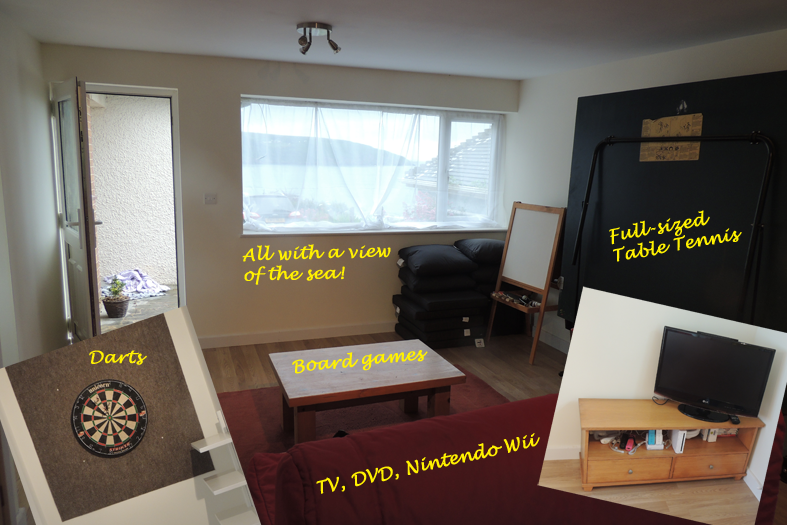 A particular favourite with younger guests, Golygfa Deg has a separate games room that features a full-size table tennis table, dart board, a Nintendo Wii with a selection of popular games, plus a host of board games and books to combat any wet-weather blues.